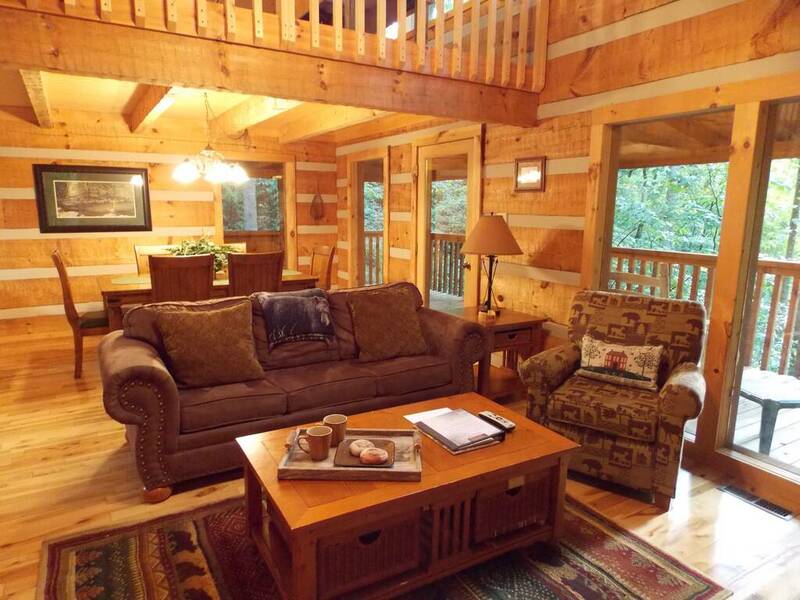 Find your mountain hideaway at Bearly Visible, a rustic lodge nestled into the forest canopy. 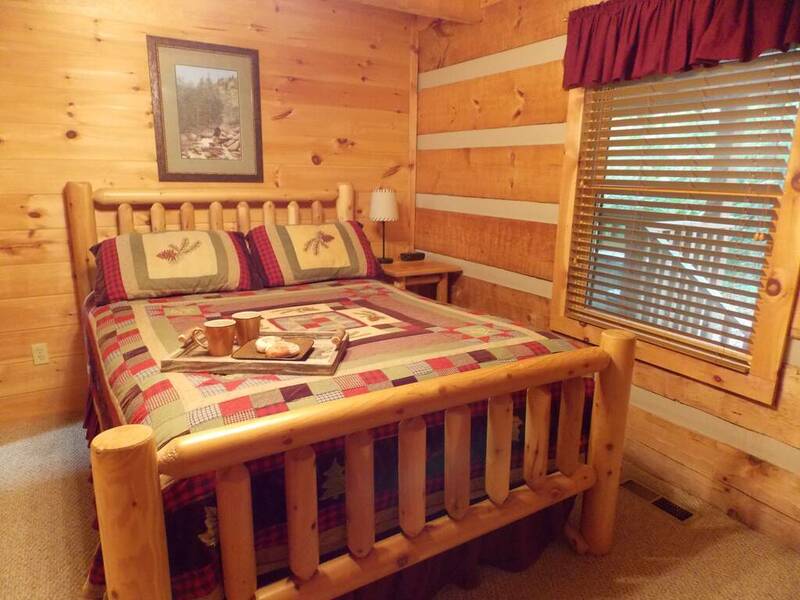 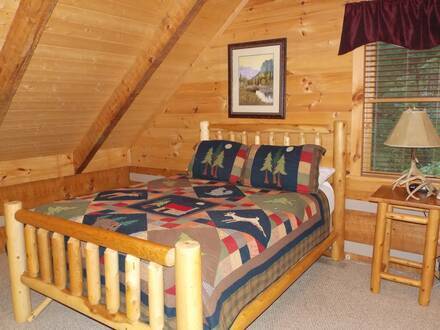 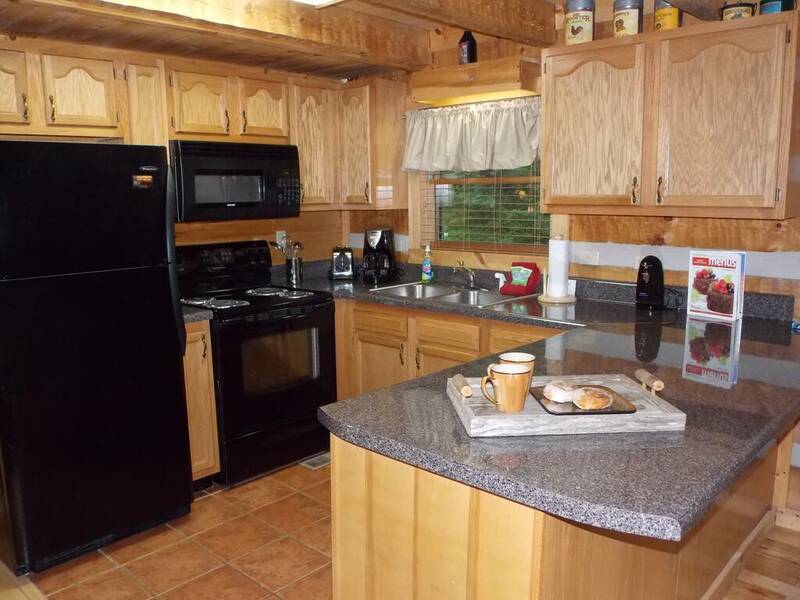 Great for a pair of couples or a family, this cabin can sleep up to six in comfort. 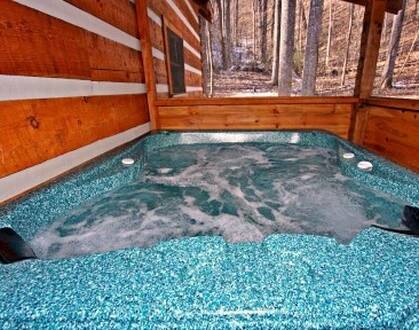 With a game room, fireplace, and hot tub, there is plenty of space for everyone to relax. 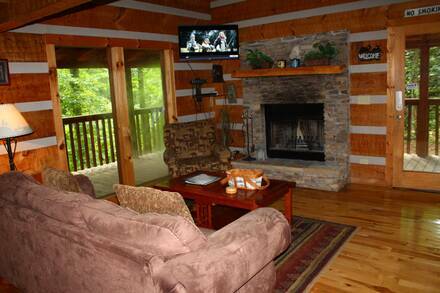 The cozy living room has two French doors leading out onto the wraparound porch. No matter the season, pile a few logs in the grate and everyone will enjoy gathering around the large stone fireplace. The 40-inch HD flat-screen mounted above is great for a movie night and, with the full kitchen, making popcorn is a breeze. 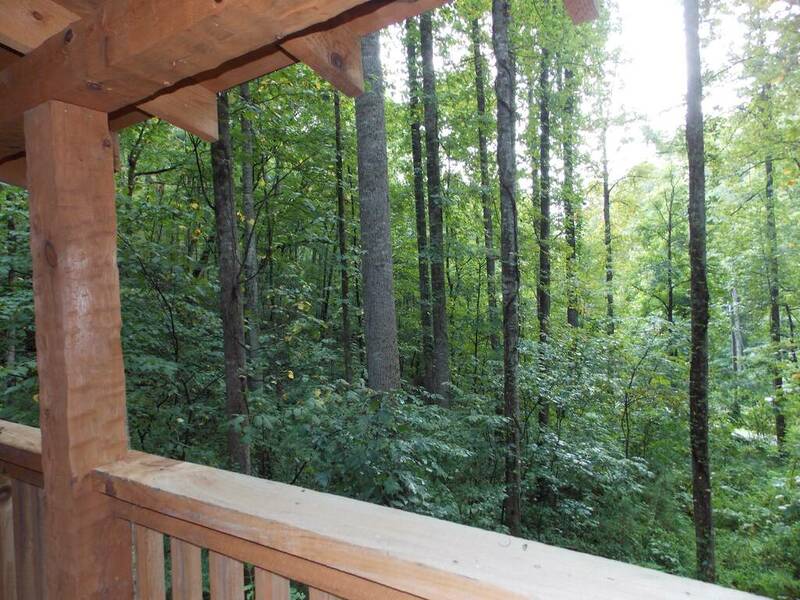 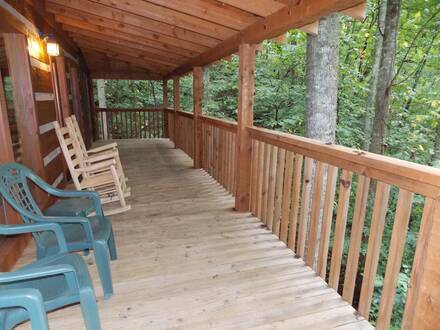 Step out onto the deck and enjoy the sounds of nature in your woodland setting. Pull up one of the rocking chairs and read a book or simply relax as birds chirp, leaves rustle, and mountain breezes waft clear air over you. The back deck is screened, and your hot tub is nearby for the ultimate combination of total relaxation and the great outdoors. Back inside, the two bedrooms feature log beds in delightful wood-panelled rooms. With two bathrooms and a futon, everyone will have plenty of privacy. 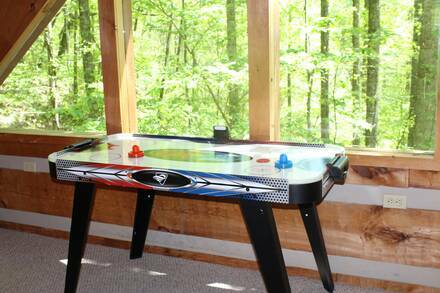 Head upstairs to the game room and challenge someone to game on the air hockey tables or start a poker game in front of the wide attic window. 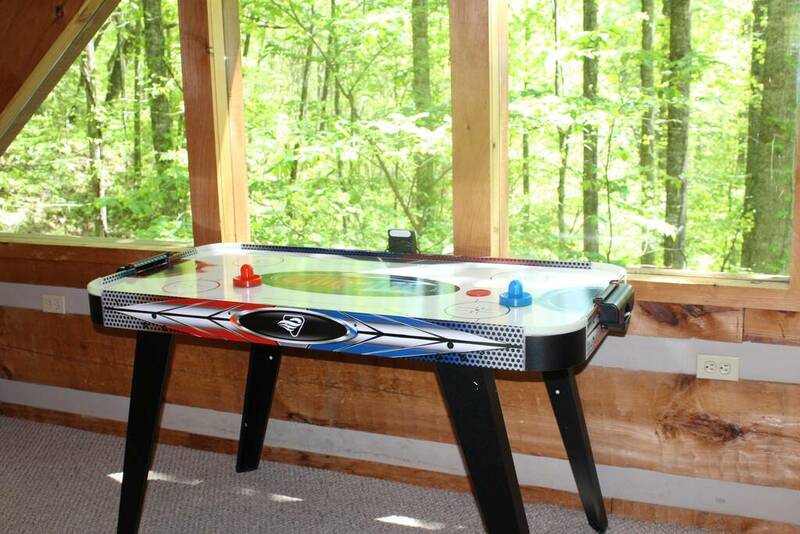 There is also a 32-inch television. Every guest can enjoy a free pancake breakfast at Reagan’s House of Pancakes and, with easy access to the amusement parks in Pigeon Forge, attractions in Gatlinburg, and hiking in the Smokies, this makes a great start to the day. 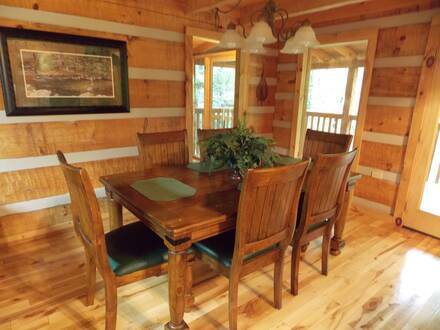 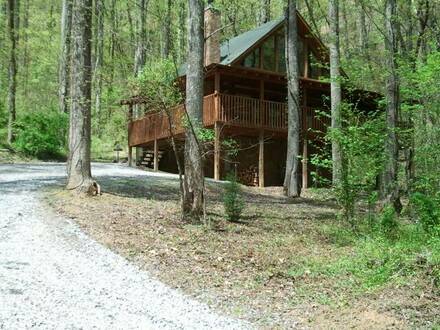 Reserve your mountain hideout now!